Making the decision to take control of your finances is life changing. But no matter where you’re starting from, it’s empowering to take even the smallest step in the right direction. An emergency fund (even a small one) will help you sleep at night. 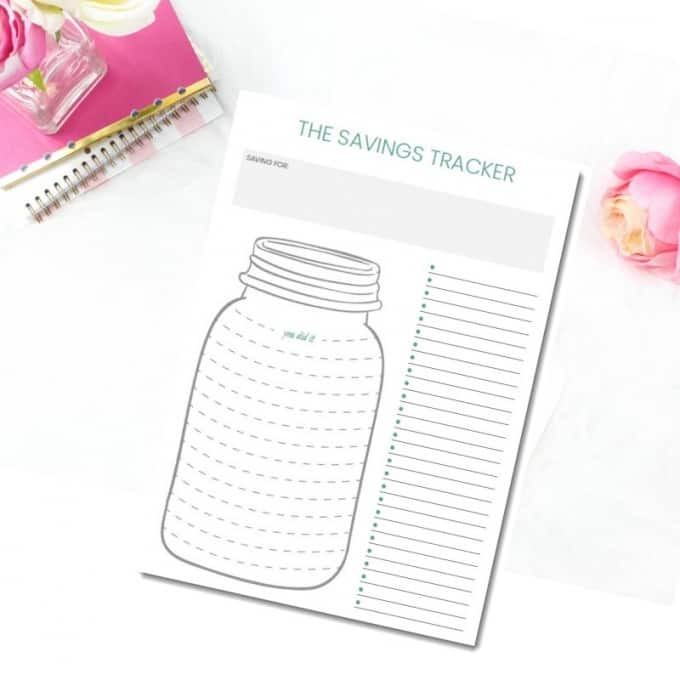 This FREE PRINTABLE Savings Thermometer is a visual reminder to help you achieve your goals with focus and intent. 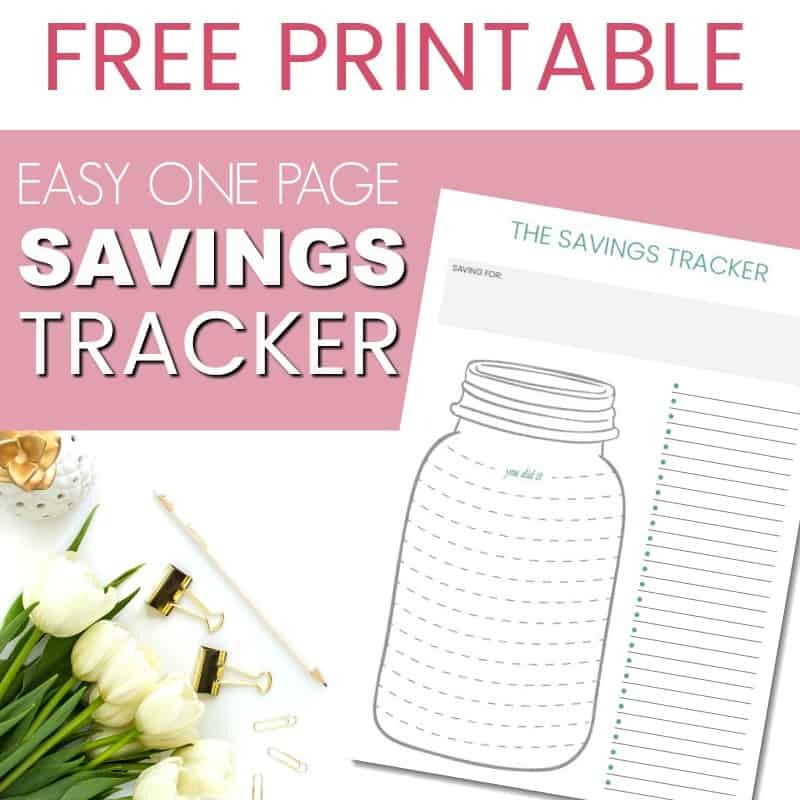 –>> Get your FREE PRINTABLE: Savings Thermometer here. (The link will take you to my store to download but you will not be charged anything at checkout as I have made the discount automatic). This is a 100% free download which you will be able to download immediately. It’s no secret around here that I am obsessed with budgeting. I learned my lesson the hard way when our family spent its way to the brink of bankruptcy. Being broke is scary. Really scary. It strips you of your confidence and joy. I know it’s hard to accept at the time, but being broke does not define who you are. Please read that again. You got yourself into this situation and you can get yourself out. You just need a better plan coz’ your current one is not working. Screwing up financially is not something I recommend, but it did shake me up to the point that I promised myself I would never, ever, ever let it happen again. I made the commitment to protect our family against the pain of being broke one small step at a time. It’s a journey I’m still on. But this time, I have focus and a plan. It’s hard to ignore something when it’s staring you in the face everyday. This free Savings Thermometer is a daily reminder of where you’re at. Print it off, stick it on the fridge or in your diary so that you can’t ignore it. Decide on your Savings goal and divide it into 14 mini goals. Write these amounts in each section of the jar. If you’re stuck on a number to choose: a good savings goal to aim for if you are in debt is a $1000 Emergency fund. If that seems too hard right now, pick a number that you feel you can realistically achieve within the next 6 – 12 months. Color in the jar as you reach your mini savings goals. Use the column on the right to tally up amounts saved in dollars. I always thought I was way too smart to get myself into a money mess. It was something that only happened to ‘other’ people. Well. I was wrong. Life is a real good teacher. My husband and I did really well in real estate and business in our twenties. So well that we could most probably have retired by thirty five had we been a little bit smarter. Instead we got cocky and made some risky investments one after the other (7 dumb mistakes in a row to be exact). Eight years later we found ourselves broke, in debt and depressed. Three years have past since my husband and I started our journey towards changing our financial situation. Three years! Yet still …sharing our ‘going broke’ story always gives me a sick feeling in my stomach. Knowing that my friends or family will be reading this evokes emotions I can only describe as embarrassment or shame. Even while I’m writing this, I wonder if I’m actually going to press ‘publish’ button on this post. I’m looking forward to the day that the emotions don’t well up inside me every time I think of those times. It’s hella hard to get motivated to make changes when you are so broke that thinking about tomorrow scares you. The one thing that helped me was reading stories of others who had been in the same place (or worse) and had managed to crawl out of their hole. The more stories I read, the more I kept seeing Dave Ramsey’s 7 baby steps popping up in the oh-so-broke community. So I loaned the book from my local library for free. (BTW, if you sign up for Audible for the free 30 day trial, you can listen to the book for free. If you don’t want to continue with audible then remember to cancel before the end of the 30 day trial so you aren’t charged). and read it all in one sitting. For the first time in a very long time, I felt that we could do it. We could stop our frantic hamster wheel lifestyle and we could fix our finances. To make our long story a whole lot shorter – we made some big decisions. We sold our house, paid off a chunk of debt, moved to rural new Zealand, started two business and we’re currently working our way through baby step #2. You don’t have to make such radical changes, but you do to need to make changes. Even Especially if you are in the scary kind of debt. You can only start where you are. So Print off this Debt Thermometer worksheet and start saving one baby step at a time.